I’ve worked in the fitness industry for over 10 years in positions ranging from Membership Sales to Personal Trainer to Assistant Fitness Manager at a variety of centres. I’m now an independent personal trainer (ACSM) and Certified Level 3 Fascial Stretch Specialist. During my time as a personal trainer, I’ve had the opportunity to help restore mobility and painless movement in clients who have been in major car accidents (2), a plane crash, had knee replacements (3), ACL reconstruction, frozen shoulder, AC joint dislocation, SI joint, piriformis syndrome and multiple cases of both upper and lower cross syndrome. I love pushing my clients to their limits, but I find the rehab cases to be the most rewarding. 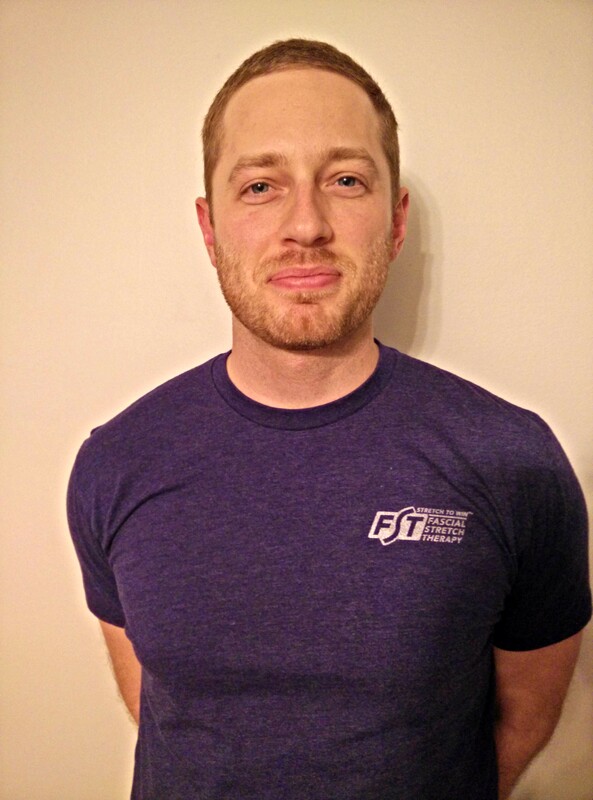 Certified Fascial Stretch Specialist- Level 3, Dynamic Neuromuscular Stabilization- Certified Exercise Trainer, FMS 2- Advanced Correctives, Agatsu Kettlebell Instructor, ACSM-CPT, British Columbia Coaching Award (NCCP), Sports Nutrition, Sports Med BC Trainer Aider. I’ve been a multi-sport athlete my entire life, having played on competitive baseball, basketball, volleyball and track & field teams; I also enjoy recreational hockey, golf, and Olympic weightlifting. While in high school, I coached 2 basketball teams (10-12yr old girls and 16-17yr old boys) to consolation championships, and a co-ed volleyball team full of superstars, many of whom went on to play in university.